News in brief – CES 2015 special | What Hi-Fi? From the announcement that Rdio has stepped up its home and in-car integration options to the new Pioneer in-dash receivers, here is the news in brief from What Hi-Fi? – live from CES 2015. 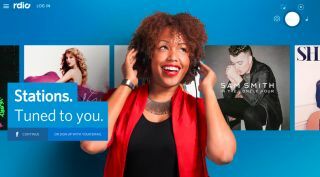 And we start with the confirmation that music streaming service Rdio has extended its presence on a range of smart home devices – including Hisense TVs, Google Cast for audio and LG Connect. In addition, a partnership between Rdio and Bosch will lead to the integration of the service with cars around the world using the mySPIN platform – with manufacturers including Jaguar and Land Rover. Pioneer has introduced the second generation of its Networked Entertainment eXperience in-dash receivers, which offer expanded smartphone connectivity and greater audio/video capabilities. The latest in-dash receivers from Pioneer are billed as "some of the most feature packed" ever, with all models offering Apple CarPlay and three of the five incorporating Android Auto as well. TDK Life on Record has taken the wraps off its Trek Flex portable speaker, which comprises two full-range speakers and a passive radiator. It's shock resistant too, for the more adventurous among you. The speaker uses Bluetooth technology and includes a rechargeable battery on board, with its IP65 design guarding against water and dust. It will go on sale during the first quarter of 2015 for $130. If you're a fitness fanatic frequently frustrated by your earphones, Hearing Components introduces a new line of Comply Sport and Sport Plus earphone tips designed to provide a secure fit and comfort. Features include SweatGuard technology, which itself incorporates an "acoustically transparent filter" to protect the core of the earphone from corrosion and the loss of sound quality due to perspiration. Digital Video Archive has heralded the arrival of what it calls the successor to DVD – and perhaps it's no surprise that it's called DVA, technology that is "available immediately" and already in use. According to the company, DVA takes the best features from DVD – such as menus, titles and more – and transfers it to a "customised archival" MP4 file that's more compatible with mobile devices.